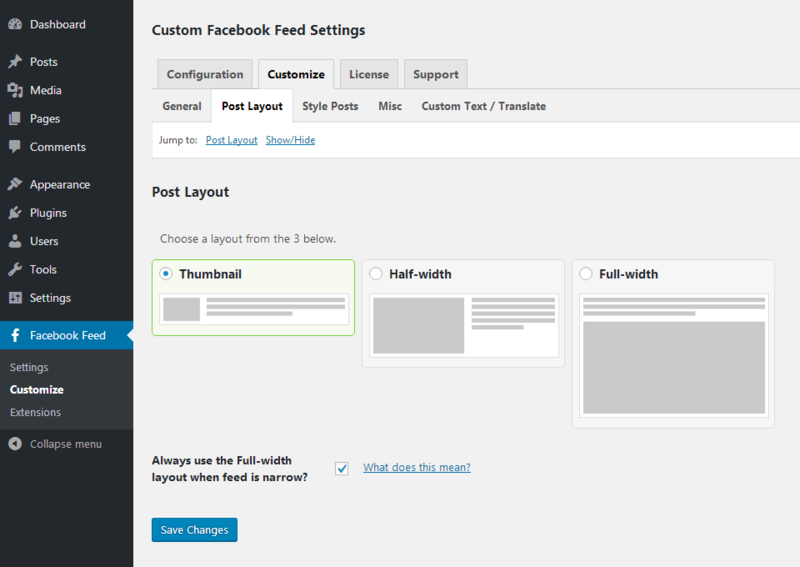 We've been on a mission to create a beautifully simple yet deeply customizable Facebook plugin for WordPress which allows anyone, no matter how tech or design savvy, to add great looking feeds of their Facebook content to their WordPress sites. 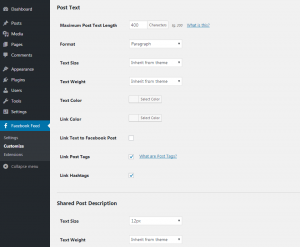 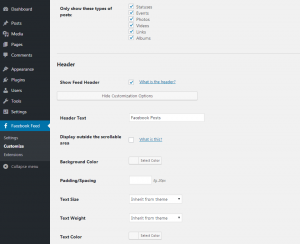 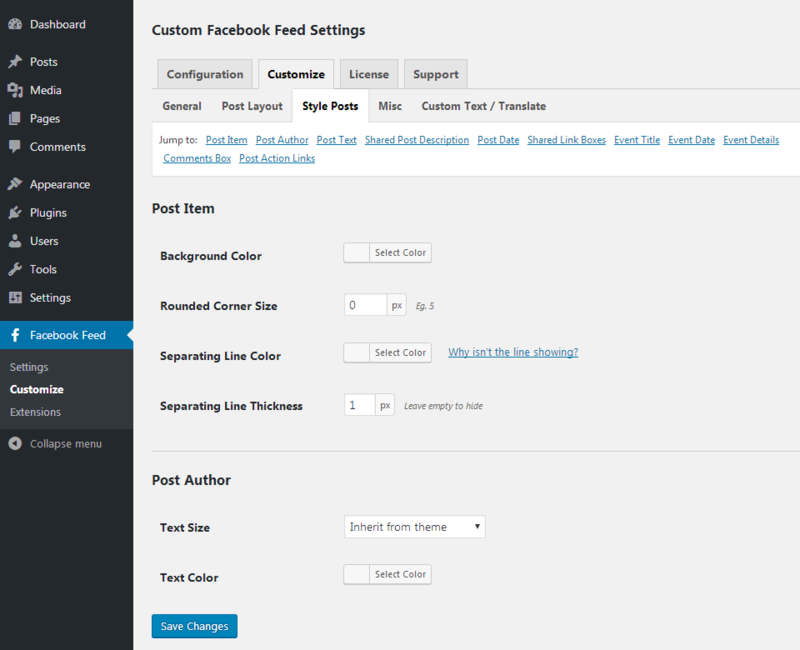 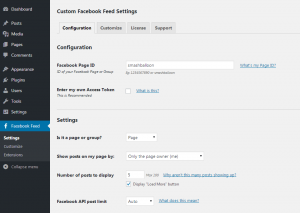 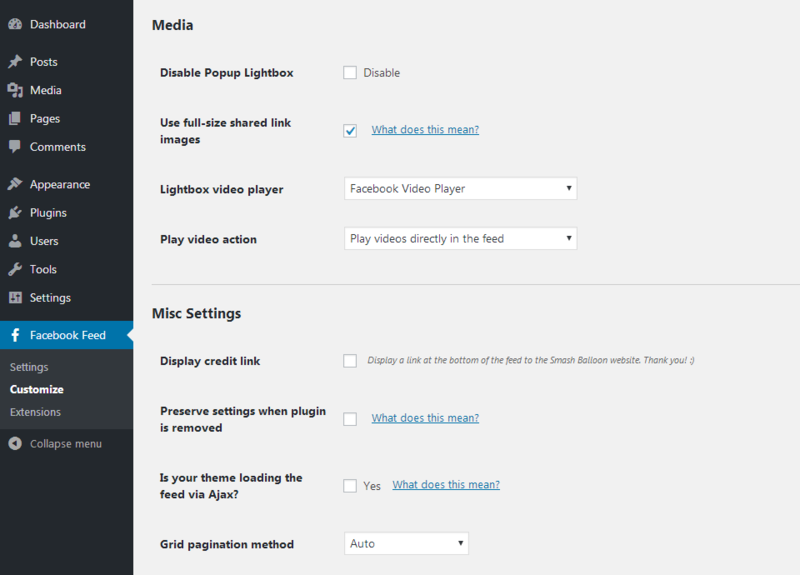 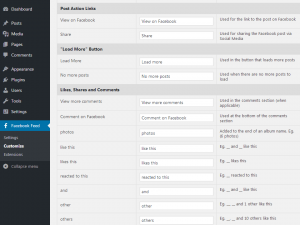 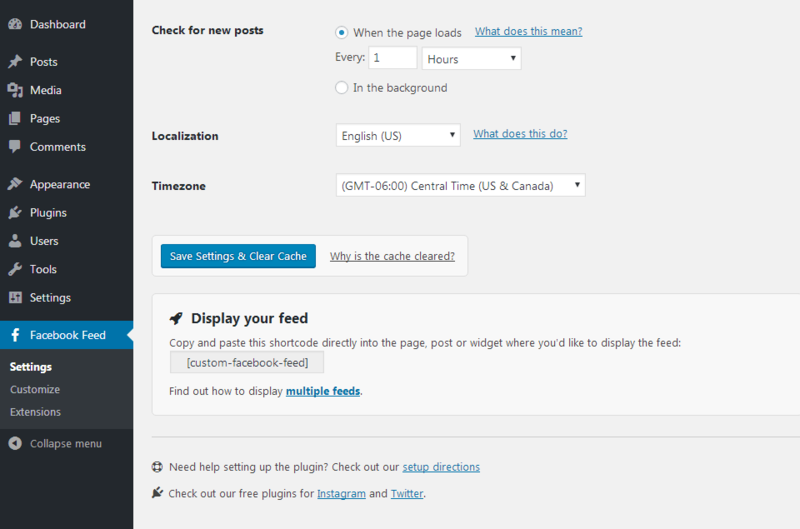 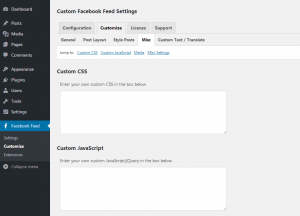 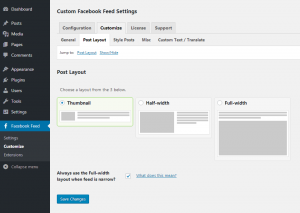 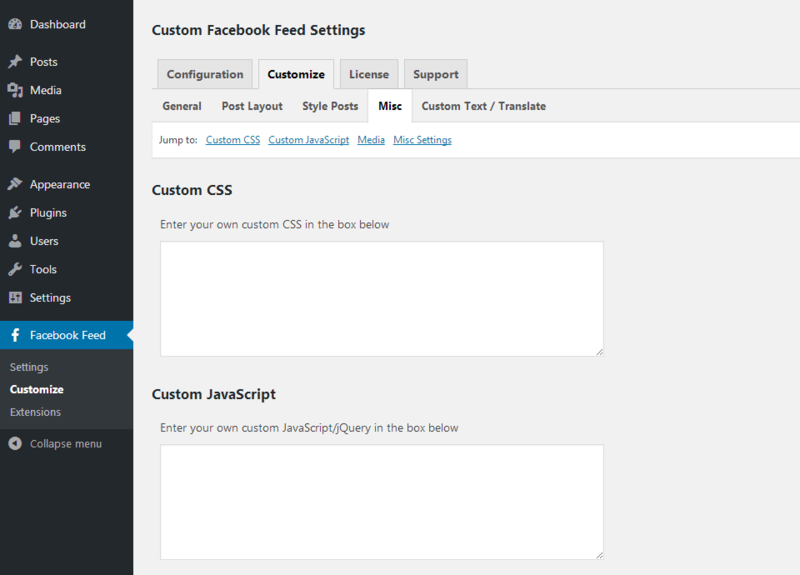 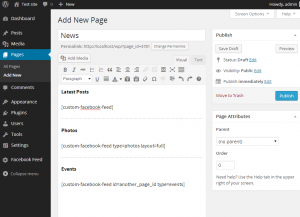 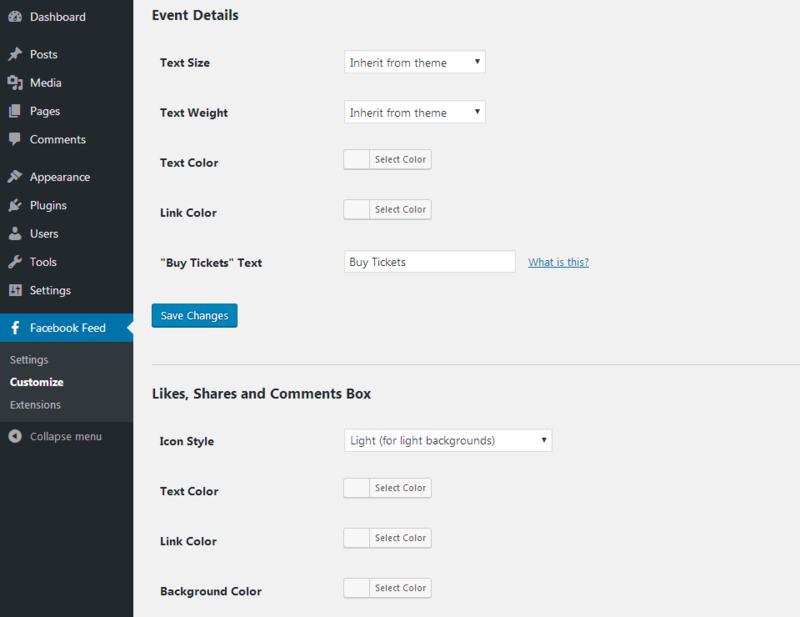 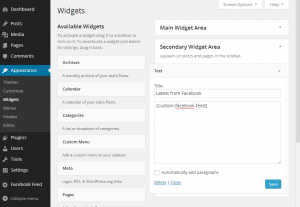 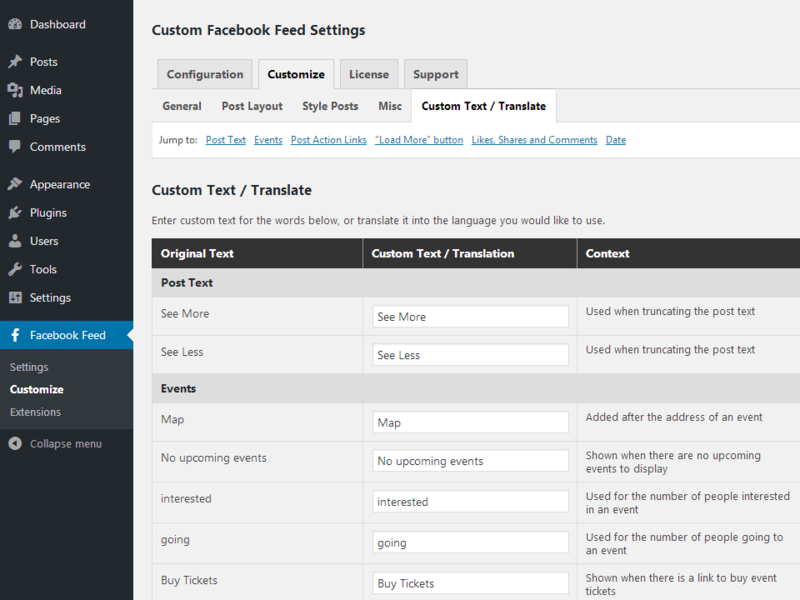 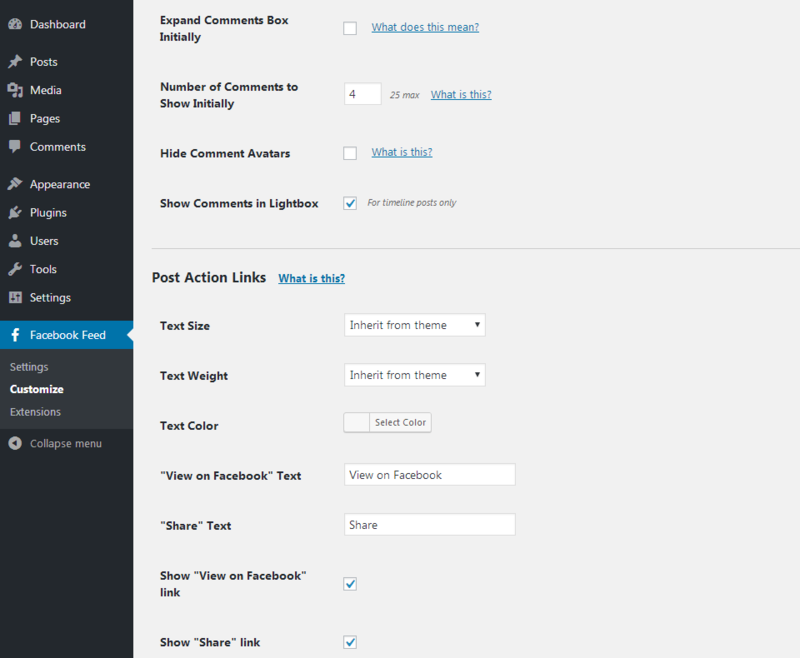 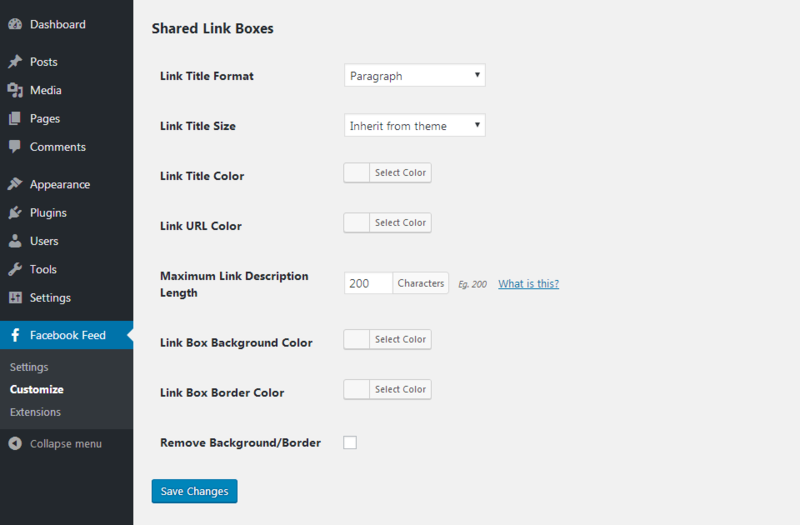 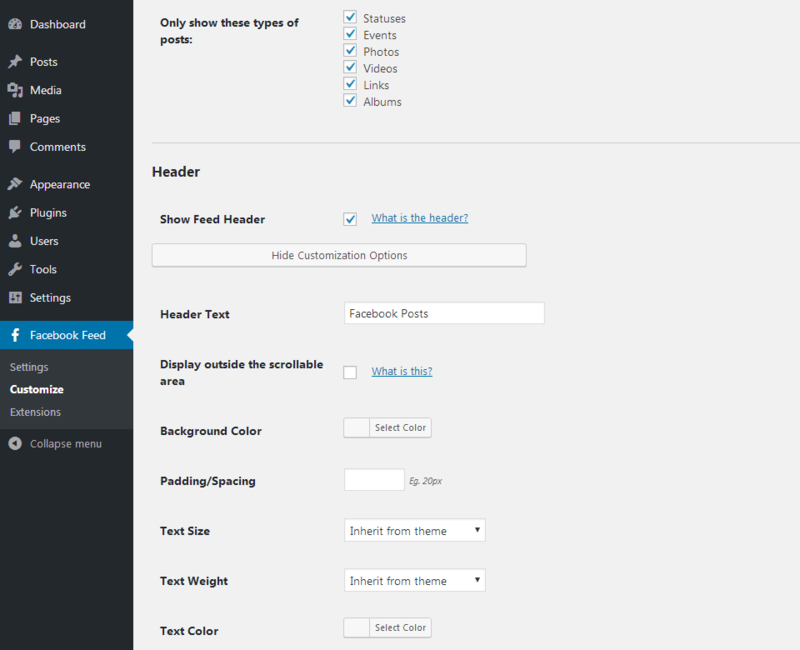 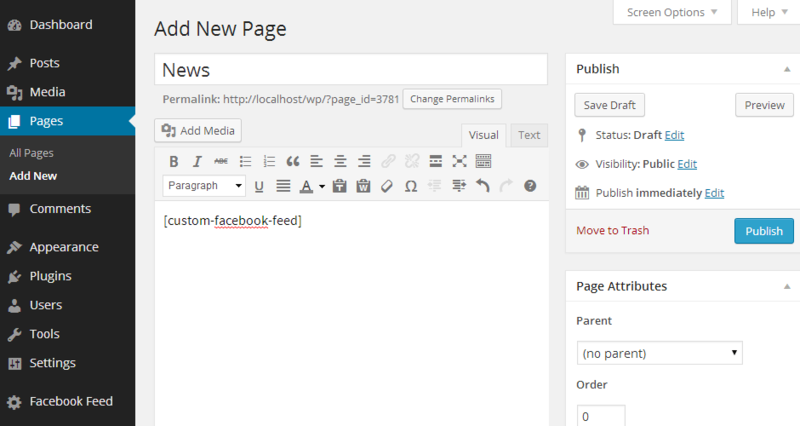 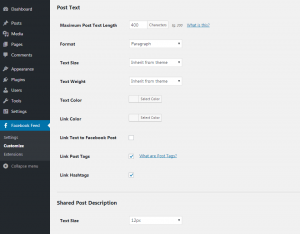 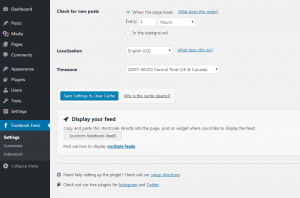 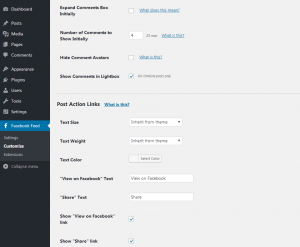 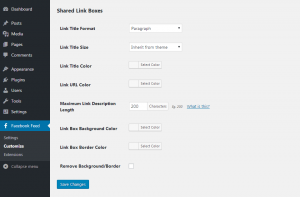 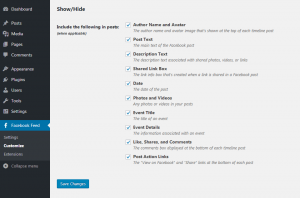 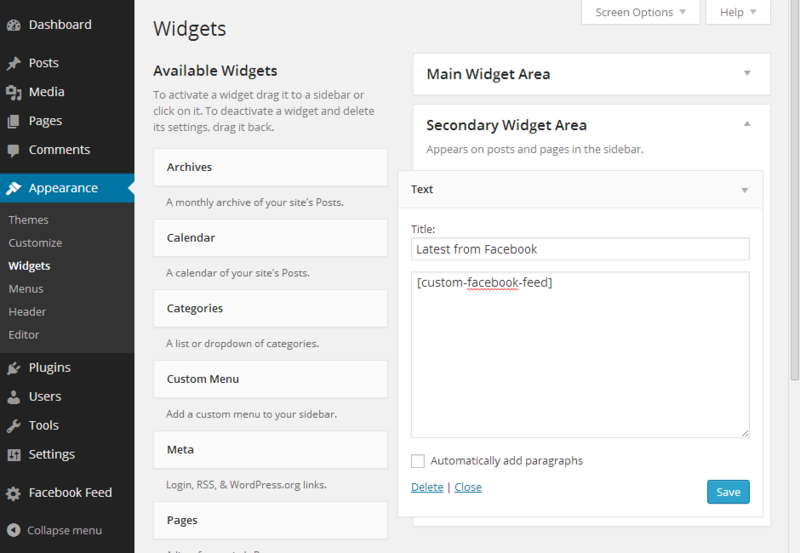 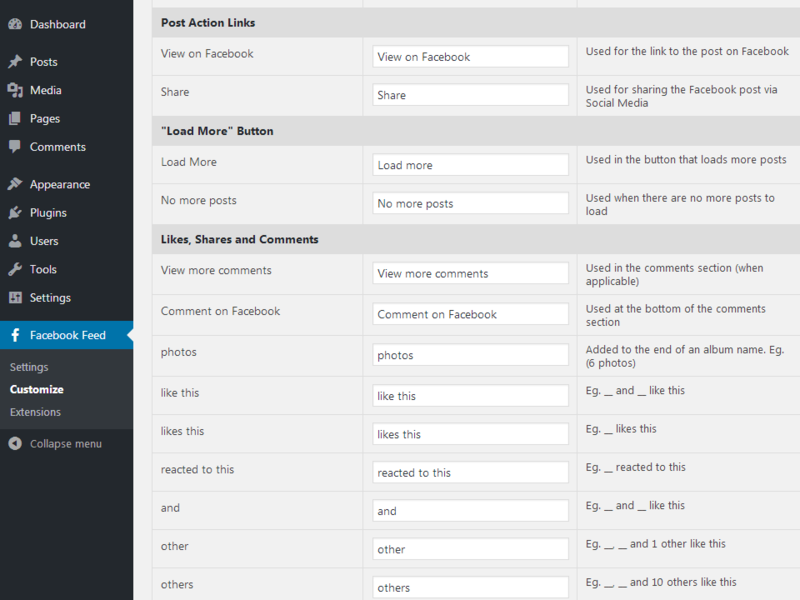 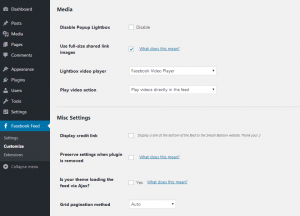 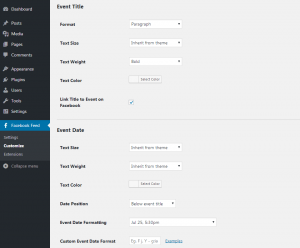 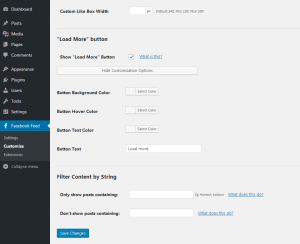 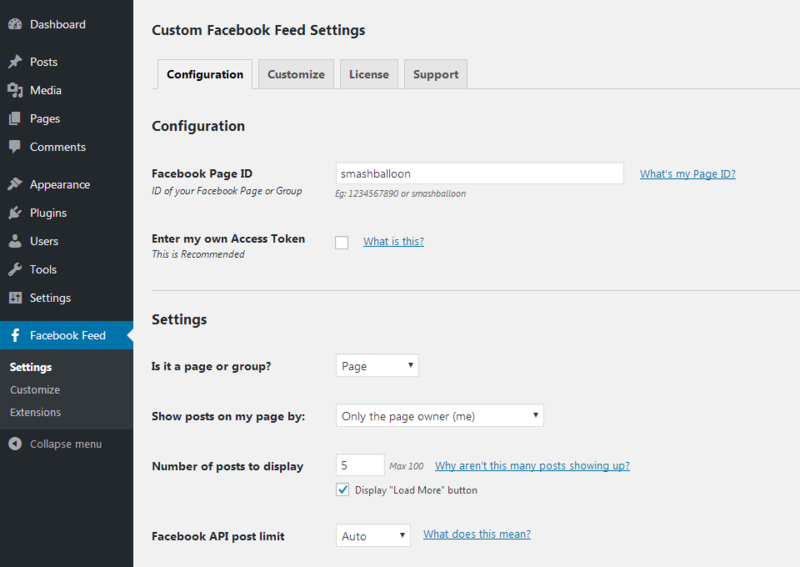 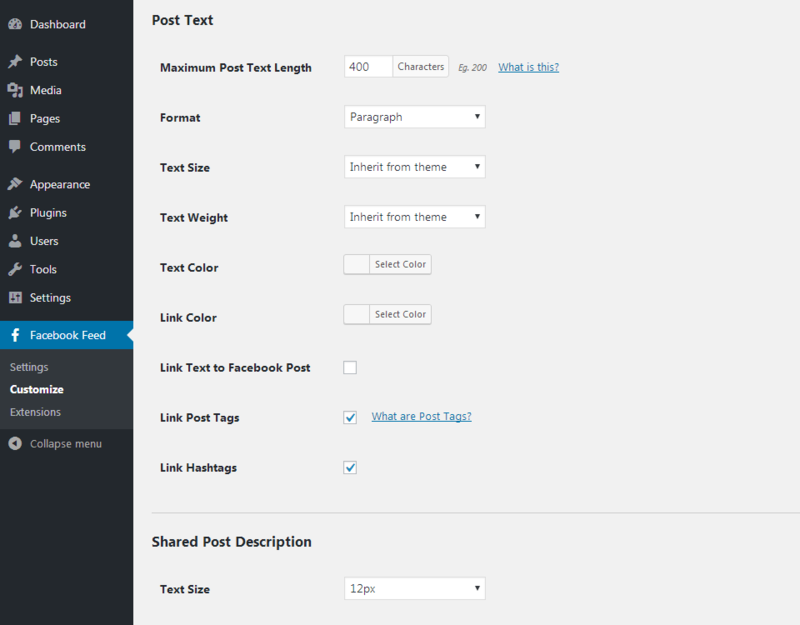 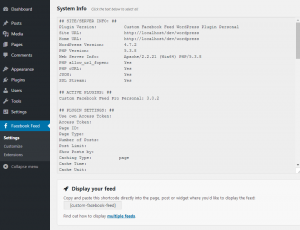 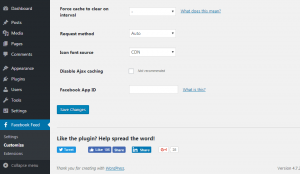 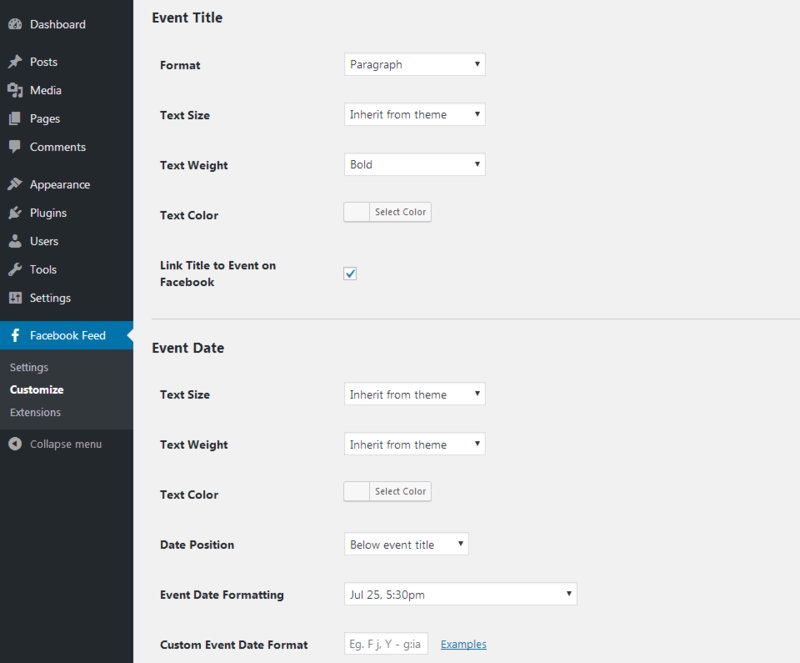 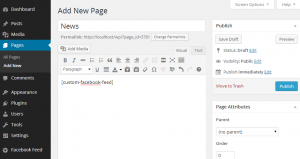 The Custom Facebook Feed WordPress plugin looks great on your site right out of the box. 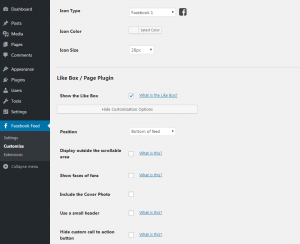 It's designed to inherit the same fonts, colors and other styles that your WordPress theme uses and so it doesn't require any work to get it looking great. 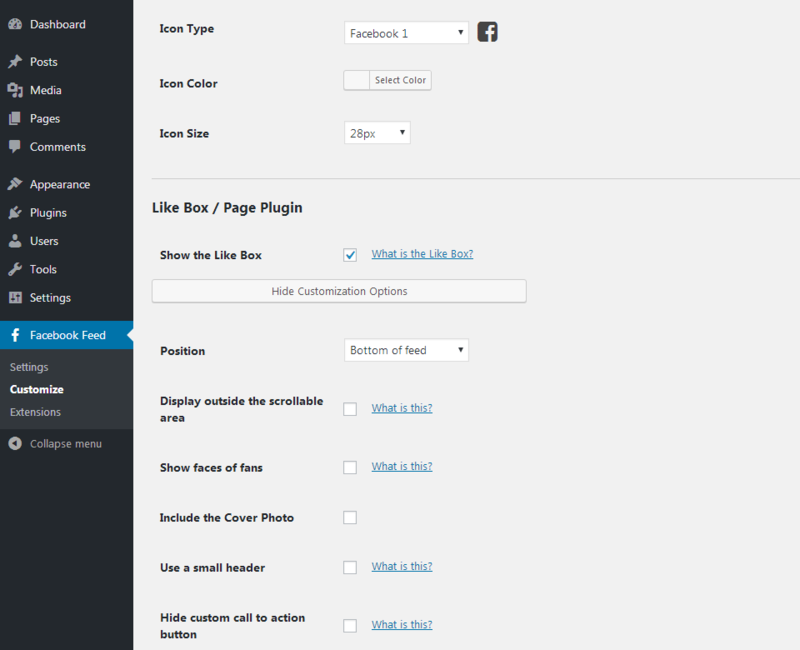 We've also added tons of customization options so that you can fine tune exactly how it looks and how your Facebook content is displayed. 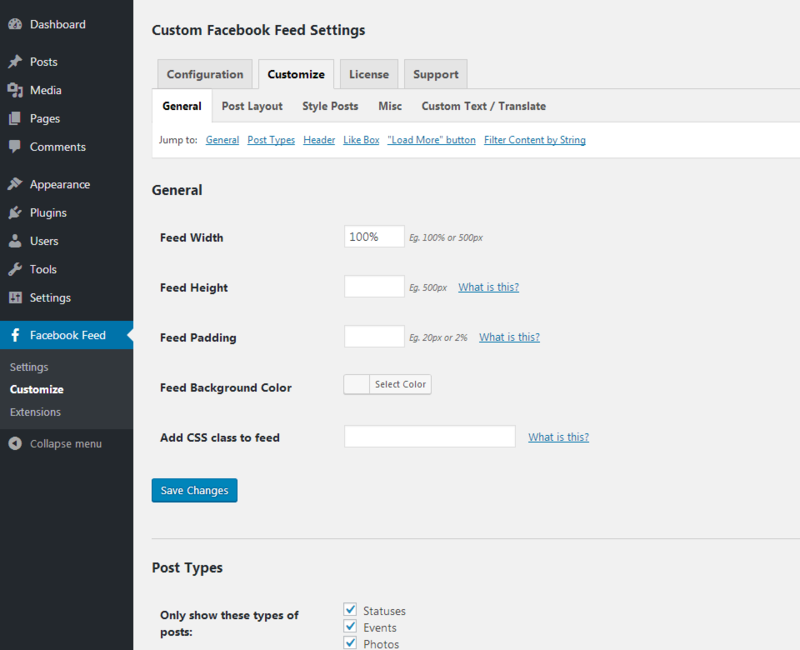 Use the Load More button at the bottom of each feed to infinitely load more posts, events, photos, videos, or albums. 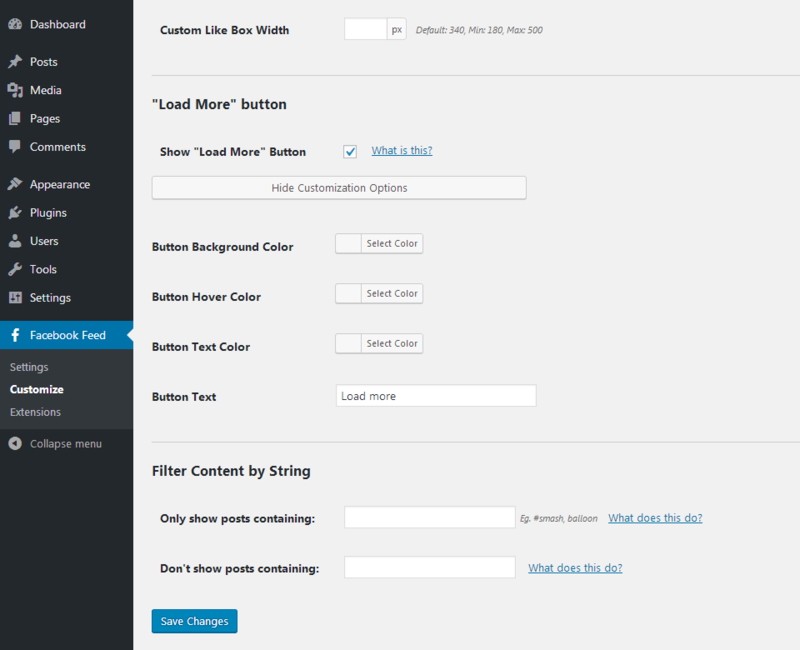 Customize the button text, colors, and font to look exactly as you'd like. 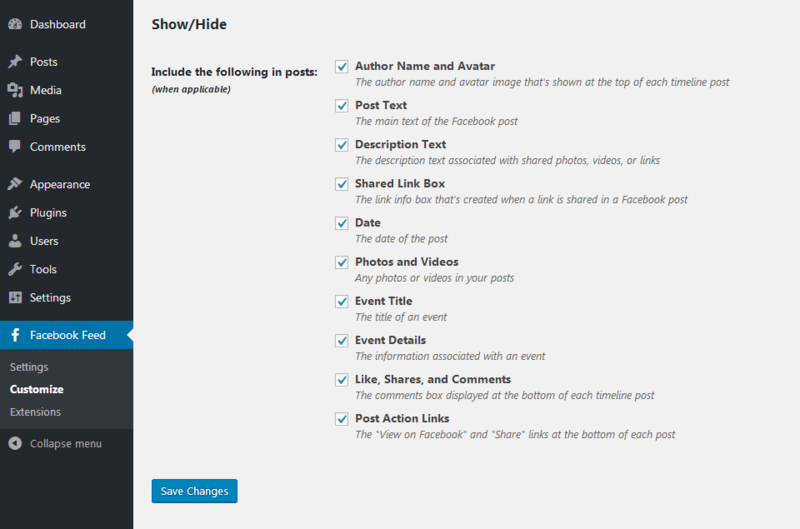 Choose to include posts by only the page owner, by everyone, or by everyone except for the page owner. 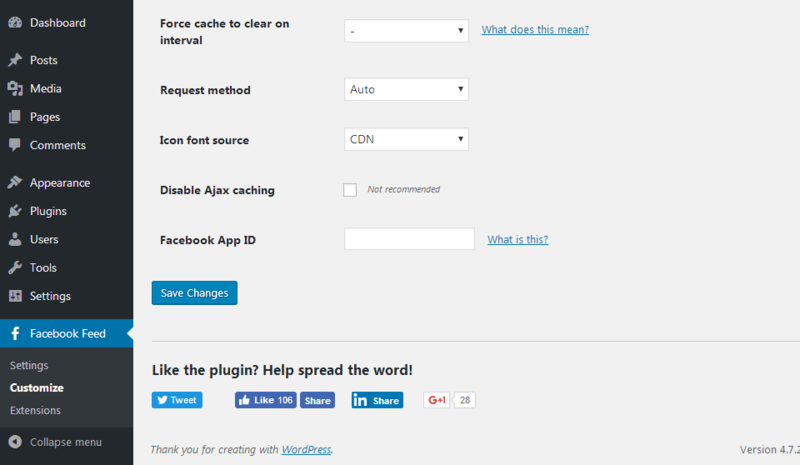 You can also use a simple code snippet to hide any specific posts that you don't want to include in your feed, or posts which contain certain words or phrases. 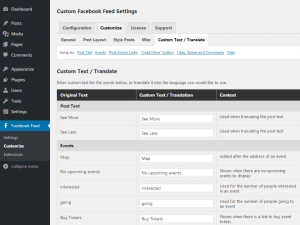 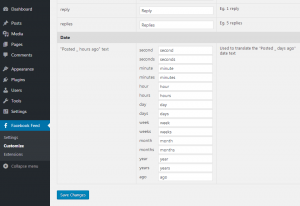 Fully localized and translatable - choose your Facebook locale and manually translate any text strings to any language. 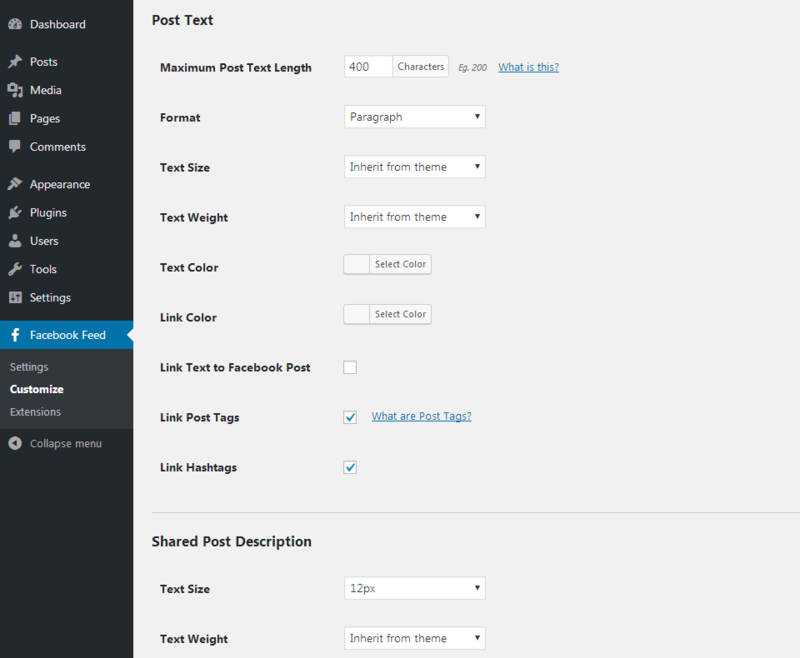 We test all of our code rigorously to ensure that it won't cause any issues on your WordPress site. 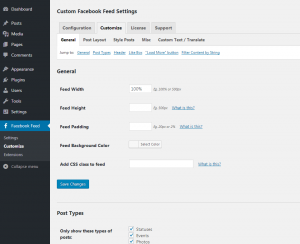 We understand how frustrating it can be when a plugin causes issues or conflicts with your theme and so we've ensured that the Custom Facebook Feed plugin is solidly built and well tested to minimize any potential problems. 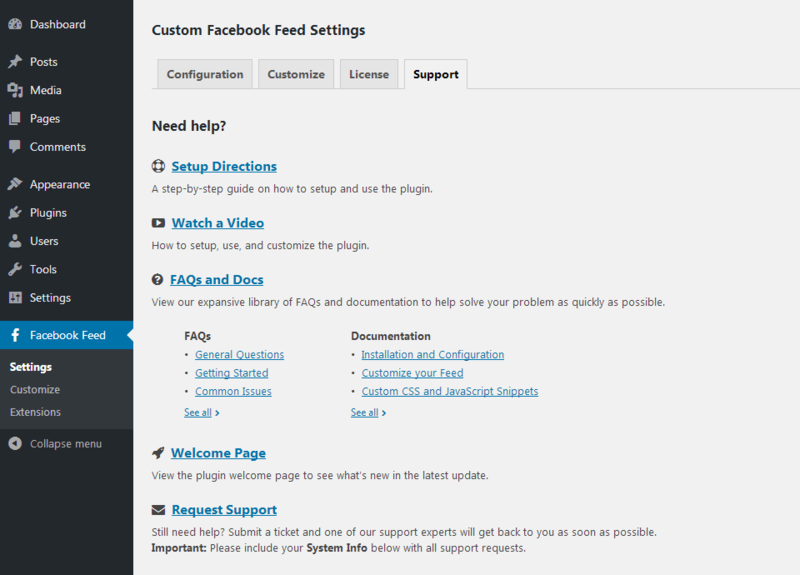 Both WordPress and Facebook are updated regularly and so is our plugin. 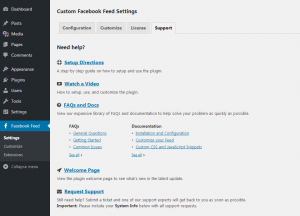 We keep up to date with all of the latest Facebook and WordPress changes to ensure that the Custom Facebook Feed plugin continues to work smoothly with each update to both platforms. 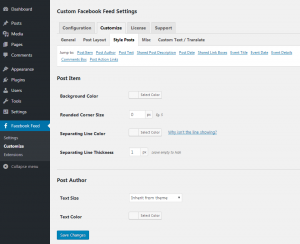 Please Note: The screenshots on this page are from the WordPress version of the Custom Facebook Feed Pro plugin, which comes with easy-to-use options pages. 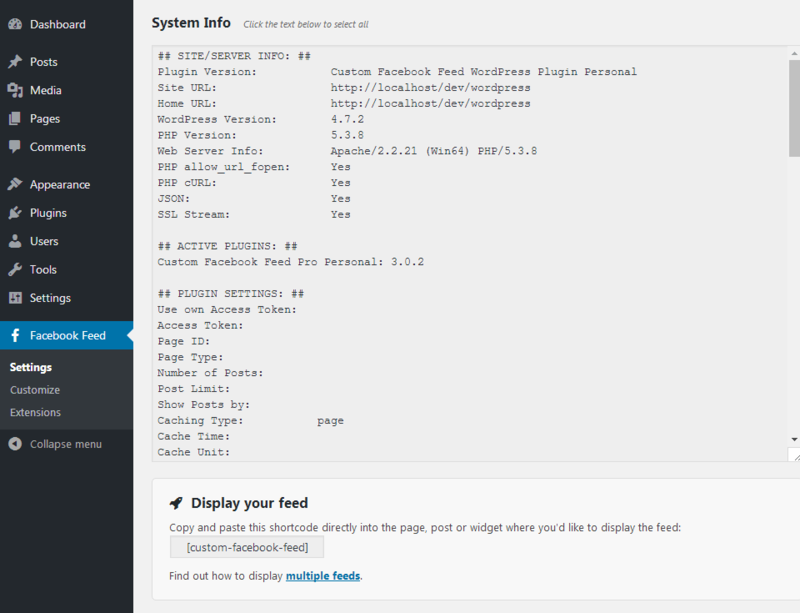 The features in the PHP Standalone version are the same but have a different interface.